Le Domaine de Montjoie – Venez découvrir un lieu d’exception aux portes de Toulouse. At Toulouse’s gates, Le Domaine de Montjoie is situated on the Ramonville-Saint-Agne’s hillsides, in the heart of a magnificent 6-hectares English park, adorned with multi-century trees. Only 10 minutes from downtown Toulouse and 20 minutes from the international airport, we offer a charming hotel with 7 rooms (we plan on having 30 rooms come 2018) and halls that can accommodate up to 200 people to host your private and professional events. In this 18th century castle, our 7 beautifully restored rooms offer a decoration that combines with taste the charm of the old and the comfort of the modern. Thanks to its high quality services, Domaine de Montjoie is one of the first 4-star hotels in France to benefit from the prestigious Best Western Premier Collection. 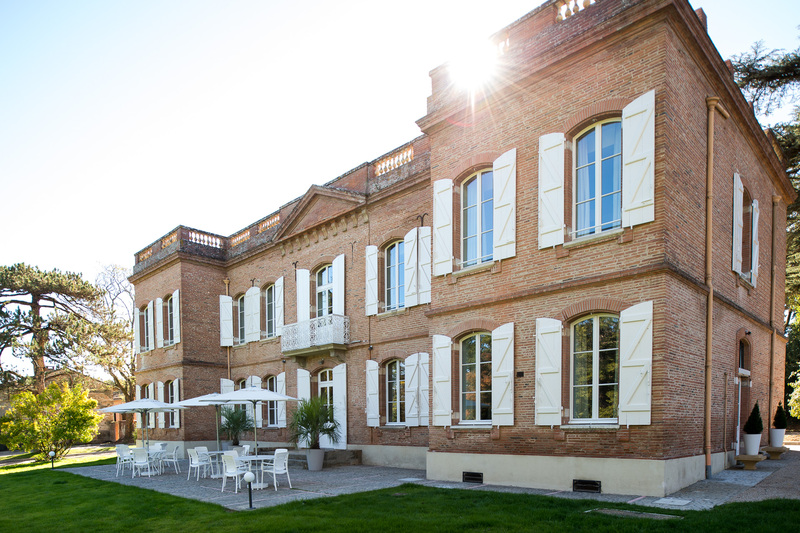 10 minutes from downtown Toulouse, le Domaine de Montjoie is the ideal place for all work-related events: our halls are equipped for professional meetings and can accommodate up to 200 people. Also, our highly trained staff is ready to meet your every need at all time. At Toulouse’s gates and easy of access, le Domaine de Montjoie welcomes you in a green, authentic and romantic setting. A beautiful place, very close to Toulouse, with authentic and smartly-restored buildings as well as a rather exceptional and inviting park. And moreover, a very warm welcome…. This hotel, at Toulouse’s gates really is great: small castle amidst a huge park, ideal for a morning jog. The rooms are spacious and well decorated. The bed is a real treat!